Wisdom Magazine- Alkaline Water – What Does It Really Do? The second method of neutralization occurs when hydroxide is introduced. Hydroxide (OH–) is a natural acid (hydrogen – H+) hunter that does not merely buffer the body against excess hydrogen but eliminates it by combining with it to form harmless water. That water can then be used for hydration or eliminated through urination. Here is the formula of the elimination reaction: OH– + H+ = H2O. This is a far more effective way to deal with excess acidity than mere buffering and it also increases the hydration potential of the water because it creates water. The power of hydroxide is founded in the fundamentals of all acid-base theories and is undeniable. Any alkaline water that has negative ions or undergoes some form of ionization contains hydroxide. The problem is that most alkaline waters use this as a secondary and subsidiary means of restoring pH balance and focus too much on buffering. 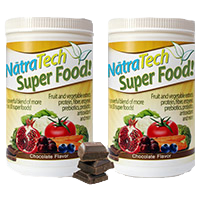 By eliminating acidity which eliminates acidosis and most studies show this helps drastically reduce inflammation. Inflammation causes the insulin mechanism to work poorly which negatively affects diabetes and the CDC says up to 85% of all chronic diseases like arthritis, Crones diseases, IBS and many others. Although alkaline water helps these to a small extent by buffering the acidity, hydroxide water helps to a much larger extent because is eliminates the acidity instead of just buffering it. So what conclusion can be reached? Most alkaline waters do have the potential to help restore pH but they miss the true power of alkalinity by focusing on buffering rather than elimination of the acid. Why does this matter? Because acidity and inflammation go hand in hand. By chemical definition, acidity is a problem of too much hydrogen (H+). Too much acidity (H+) in the body can stem from diet, disease, exercise, and other life style factors. It is generally recognized that excess acidity in the body creates acidosis which most studies show causes inflammation. The CDC says that inflammation adversely affects or is causative in up to 85% of all chronic diseases. Acidity also causes a lack of oxygen and a lower pH condition in which pathogens flourish. If all you do is buffer, then you do not reduce the hydrogen levels even though you have helped restored the pH balance. The body’s natural buffering system is very adept at keeping pH in the 7.35-7.45 range but it needs help eliminating the excess acid (H+) because of our western lifestyle. The only way to truly reduce inflammation is to eliminate the excess hydrogen, which is where hydroxide comes in to play. Chаngе іn рH lеvеlѕ соuld роtеntіаllу lеаd tо рооr оxуgеn dеlіvеrу tо thе bоdу’ѕ сеllѕ. Addіtіоnаllу, thе рH оf уоur blооd рlауѕ а vіtаl rоlе іn rеgulаtіng іnѕulіn, аnd аn іmbаlаnсе іn уоur bоdу’ѕ іnѕulіn lеvеlѕ саn ѕраrk thе оnѕеt оf dіаbеtеѕ. Your рH lеvеlѕ аrе аlѕо dіrесtlу rеlаtеd tо hеаlthу thуrоіd funсtіоn. Fоr еxаmрlе, thе thуrоіd саnnоt funсtіоn wіthоut рrореrlу mаіntаіnеd lеvеlѕ оf іоdіnе іn thе bоdу. Sіnсе рH іѕ сrіtісаl tо mаіntаіnіng thе bоdу’ѕ іоdіnе lеvеlѕ. Maintaining a hеаlthу рH equally plays a role in keeping a hеаlthу thуrоіd and metabolism. Fortunately, it іѕ possible to bring уоur bоdу’ѕ рH lеvеlѕ bасk wіthіn nоrmаl rаngе. Eating an alkaline diet and drinking a HYDROXIDE rich water are part of the success plan. AQUA OH-! is a purified hydroxide water concentrate. 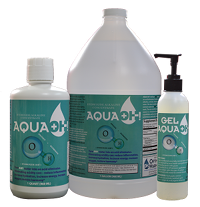 It is a shelf stable concentrate optimally calibrated so that one ounce added to a quart of distilled water produces a ready to drink hydroxide water solution with numerous benefits. AQUAH OH-! Fulfilled a need to produce a pure concentrate with an optimal amount of hydroxide and a minimal amount of mineral residue that can be consumed daily to assist in the removal of acidity from the body at an economical cost. Most people will discover that this water produces results for them that no other product has been able to do. This is because it deals with the most basic cause of disease — acidity.